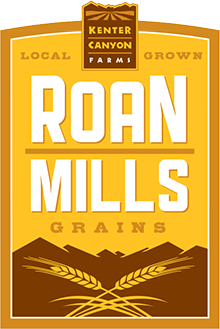 Our Roan Mills Farro is a dry farmed, organically grown powerhouse of nutrition. With 18% protein, this ancient grain deserves consideration as a staple food in your kitchen. Here we present a Farro salad that travels well and makes an excellent lunch on the go. This dish is vegan and vegetarian friendly. Prepare the farro by combining the grain and water in a sauce pan, bring to a low simmer and cook, covered, for 40 minutes. When the farro is cooked, drain off any remaining water and toss into the salad bowl while still warm. Taste and adjust seasoning as needed and serve warm or allow the salad to cool and store it in the fridge for 4 days.